Welcome to the final part of our three part series on service contracts. This article covers service contracts on laser printers. Laser printer maintenance contracts are similar to copier service contracts. 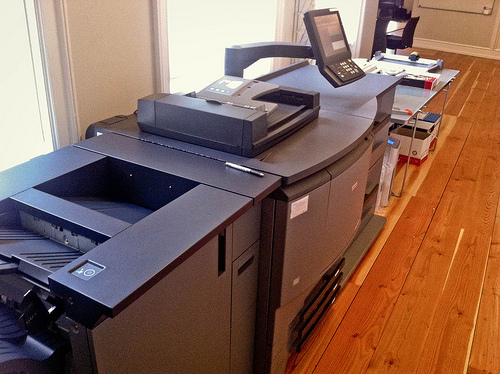 Most laser printer service contracts are billed by cost per print. It is essentially the same thing as cost per copy. Each time you print a page the internal meter clicks. On a printer you can get the page count or meter reading by printing a configuration page. Then, each month or quarter an invoice is generated by multiplying the cost per page by the total prints made. The cost per page is determined by monthly volume, age of machine and environment. Environment plays a big part because if it is in a dirty environment it will need possibly twice as much service than a machine in a clean environment.Service contracts are really similar to an insurance policy. They may or may not save you money. The good part is that your costs are fixed, so you will know how much per year you will spend instead of hoping it won't break down too much or have a serious or really expensive part break. There are many ways of paying for a service contract. It depends on the way you and your company would like to be billed. Most service companies offer monthly, quarterly and annual billing.Total Cost ManagementThere is an explosion of service companies providing this way of tracking all of the costs associated with your copiers and printers. It is called "Total Cost Management." 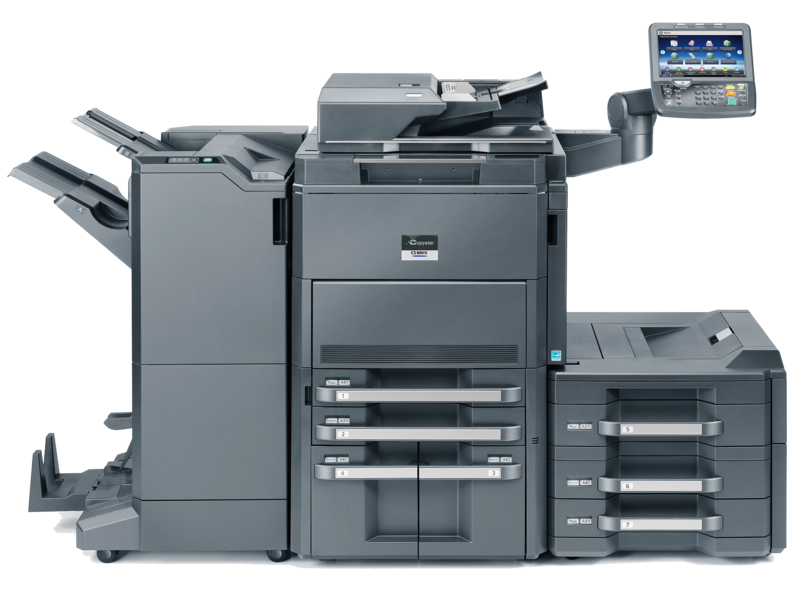 Most if not all copiers, MFP's and printers can be monitored on your network with revolutionary print management software. You are able to track your total pages or copies. You can monitor toner low warnings, error codes, paper jams, and everything associated with your machine. This software can help you calculate how much you are paying for the total ownership of all of your equipment. This is very helpful when purchasing new equipment. The software will help you figure all the costs of your equipment, toner, parts, supplies and service.CoverageUnderstanding what is covered and what is not covered is very important to find out before you purchase a service contract. Does the contract include supplies? Some supply items are toner and maintenance kits. Find out what hours the service company is available and days of the week that they operate. Which holidays do they take off? What is their response time? Most service contracts do not cover abuse or neglect. So be cautious with those paper clips and staples as they can cause an expensive repair and it probably won't be covered. Get all of this in writing then there will not be any surprises.Which Type of Contract?Choose an all inclusive service contract that covers everything such as parts, labor, maintenance kits and supplies. Or choose a contract that only covers parts and labor.Color Laser PrintersService contracts on full color laser printers are essentially the same except that you will be paying for a color print or a black and white print. Pricing varies, but you will be paying about 9-10 times more per print for color than for black and white. If you have ever purchased toner for a color printer you know that color toner is more expensive.ConclusionThis concludes our article series on service contracts for Copiers, Fax machines and Laser Printers. My purpose for writing this series was to help shed some light on shopping for service contracts for companies that have never purchased one or are in the process of purchasing a service contract. Each service company will have different options but for the most part they all bill their maintenance contracts as described in my series. 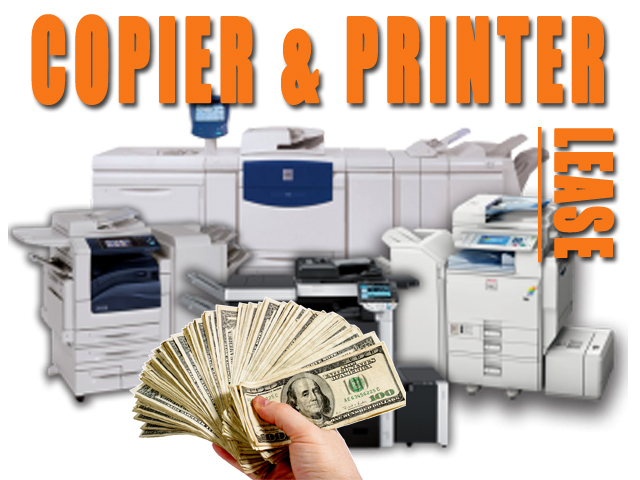 Okidata Laser Printer Service Lincoln – We’ve been providing business copiers for a long time, and over the years, the most common complaint we hear about typical copier sales people is that they are pushy, fast-talking, and might as well sell used cars instead of copiers (no offense, car guys). What's Wrong With a Straight Commission Sales Job? So you need ten sets of a fifty page document for this mornings meeting. It's 8:30AM and your meeting is at 9:00AM. You begin with your project and the copier jams. You clear the jam but it keeps jamming! It's not pulling in the paper. Sure you can call the repair person, but you need the copies now! There's nothing you can do, or is there?All office equipment that feeds paper has a component inside that pulls the paper out of the paper tray and into the machine. Most are made out of rubber and just like the tires on your car they wear out. When a roller is worn and dirty they will cause paper jams. The purpose of this article is to show you how you can clean or rejuvenate the rollers long enough for you to complete your job and have your repair person come out and fix it properly.Alternative solutionsWhen your machine is jamming, first locate where the paper is jamming. Which paper tray? Is it tray 1 or tray 2? Also which size is jamming? On machines that have more than one paper tray you can switch paper trays and then you can skip cleaning the rollers. Make sure when you change cassettes that the copier registers the correct size. The machine will think it is a different size and it will jam. The sensors are set for a specific timing and it will know the difference in length from letter size and legal size. I also would try using the bypass tray or manual feed tray if so equipped. This will get you up and running quicker than cleaning the rollers.Determining if the rollers are the problem:If you need the specific tray to be functional we will get busy with the repair.First make a single copy in the tray that is jamming. By doing this you are determining where the paper is jamming. If it is jamming in the exit for instance, you have another problem. If it is jamming in the center of the machine, again it is a different problem. But if it jams at the cassette or paper tray area the next step is removing the paper tray. Shine your flashlight into the paper feed area and see if there are any pieces of paper torn off inside or something blocking the paper path. Now that you have ruled out a blocked paper path, you can clean the feed roller(s).Tools Required:Flashlight, strong cotton towel (so it will not rip off in the machine), WD-40 or Rubber roller rejuvenator. Note: Never use alcohol to clean rollers. It dries out the tread and the remaining tread will get ripped off and then it still will not feed. Use WD-40 it works great!Cleaning the rollers:Shine your flashlight into the paper feed area and locate the rubber rollers that feed the paper in. Grab your towel and saturate it with cleaning fluid. This can be WD-40 or your favorite roller rejuvenator. Start by cleaning the roller and spinning it all the way around not missing any of the surfaces of the roller. Then go over it again with the dry part of the towel. As I said there are many different types. Some have a set of three rollers. One Pre-feed roller, this pushes the paper into the other rollers. One feed roller and one separation roller. Others have a half moon style. These are harder to clean because they have a clutch system that keeps it at home position when not feeding.WARNING: If you try and turn these to clean them you will damage the clutch mechanism! There are two ways you can clean these types. First you can actuate the clutch by pushing down on the solenoid or release lever. This sometimes can be hard to get to. You can also start the copy process and shut off the machine exactly when the feed roller engages. This takes some patience and practice but it is better than damaging the clutch. Once you get it where you can clean the roller repeat the procedure above.Some alternatives to replacing feed rollers: There is a material called feed roller tape. I have used it when I didn't have the right roller in my car stock. It works with some styles mainly half moon styles. Just peel off the adhesive and wrap it around the worn roller surface. They also have some that stretch over the old rollers. I have never used this but I have been told it will get you up and running. On old copiers or printers that you can no longer get parts for you can apply clear silicon on the feed surface and let it dry twenty four hours. It works but I am inclined to use the real thing. You can also use generic rollers manufactured for almost all equipment. I have mixed feeling about these because I have had to go back and change them again later. For the best repair I use genuine OEM feed rollers. They are still inexpensive and they will last you longer and you will have fewer headaches.Feed RollersThere are many types of rollers and feed systems. Here are some common feed rollers with their part numbers. Rollers will normally come in a maintenance kit but they may need to be replaced approximately half way through the maintenance kit cycle.HP LJ-4000 laser printerFeed RollersRG5-2651-000CN x 2Note: These are very easily replaced. Just unsnap them and replace them with the new roller.Toshiba E-Studio 350/450 Photocopier Paper Feed Rollers 44201807000 x2, 4400669910Note: These take a little more work. First you need to remove the paper feed assembly and then you can get to the clips that hold them on.I hope this has helped you complete your print or copy job. Please remember that this article is just a quick fix and not a long term solution. Be sure and call your repair person to fix it correctly. 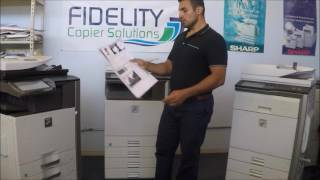 Looking for Okidata Laser Printer Service Lincoln? A printer is an expensive appliance. Specifically, if you have got a laser printer, then the cost involved is higher than that of an inkjet printer. A laser printer, its cartridges, and its maintenance and service - everything is super pricy.Even a single act of negligence may lead to increased cost of printing in addition to unexpected work delays.Using the following best practices you will be able to avoid seeing a laser printer repair service -Buy refurbished device and accessories vigilantly.The rise of the environment protection movement has propelled the sale of refurbished items. Due to the low price factor, people are choosing refurbished printer and accessories more than ever.Recycled products can be good only if they have been re-processed by renowned brands or brand-authorized manufacturing plants. If a third-party manufacturer has been involved in the recycling processes, there is no way you will get original-like quality from your appliance.Similarly, if you are buying a recycled cartridge, do check if it is compatible to work with your printer. Otherwise, it might damage your printer permanently. Here also, I will say, you should buy replacement cartridges from the brand store or brand-authorized vendors only.Do not use ammonia-based cleaners for cleaning and shining up your printer.Better you should use isopropyl or ethyl alcohol to clean your printer. Just dampen a cloth with any of these solutions and gently rub the outer surface of your printer.There is no need to wipe or clean the inner parts of your printer. However, if you see dust particles on the roller or any other part of the paper path, then clean it with a dry cotton cloth.Do use your printer.Home printers have low printing requirements. That's the reason why most home printers give out dull prints.Your printer's toner or ink loses its pigment if it is not used frequently. To maintain the color, you should take a few prints every week.Place your printer in a dust free environment.Do not place your device at a location which is exposed to dust, direct sunlight, and moisture. These are the three biggest enemies of your printer. When not in use, cover your printer with a large plastic sheet.If you are using your printer after a long time, then it would be wise to take out the papers first, tap them on the table top one or two times, and re-insert the bundle into the paper tray. If there is dust on the paper, it might get clogged while printing.Hire the best service available, not the cheapest available.When it comes to the health and performance of your device, you should hire a trusted on-site laser printer service in your city. Doing so will allow you to prevent your printer from going into unskilled hands.If you are asking for printer repair service from an individual just because he lives nearby, it could cancel your printer's warranty document.There you have it. These are some of the preventive tips that will improve the performance and prolong the span of your printer.If you have a cool tip that could help prevent a laser printer from damages and downtimes, do share it in the comments section.